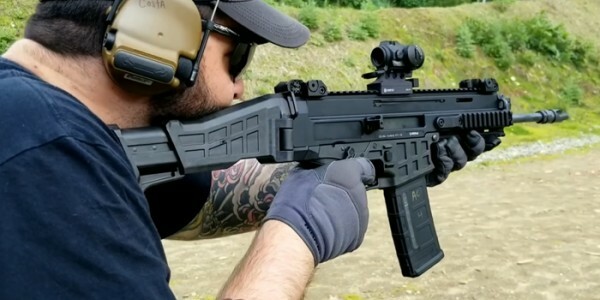 First look at the CZ Bren 2! "The CZ BREN 2 is a modern assault rifle from the production of CZ service weapons. Its design has been based on the experience of the most demanding users from among the special units and armed forces who demand the best, regardless of the area of operations. The CZ BREN 2 provides a comprehensive solution for armed forces; the weapon system includes full support as well as 3D animations for the armourer, spare parts sets and an armourer’s tool kit. The aim is to maintain combat readiness for the user by himself even during prolonged conflicts in all parts of the world despite all the problems that these complex operational challenges bring. This multi-calibre weapon enables easy change of calibres, which increases user effectiveness in meeting all types of tasks and is a cost-effective option compared with the necessity to acquire several different types of weapon. Its modular concept makes training easier for the user thanks to the unified system of controls. The maintenance procedure is also the same for all the weapons, from standard versions to versions intended for special units. It is a comprehensive and unified solution for all types and kinds of armed forces. m is based on the tried and tested collection of gases from the bore with the option to regulate the piston mechanism in three stages. The weapon is extremely reliable and durable in all conditions. High accuracy and long service life. Complete modularity in all calibres and barrel lengths. Low weight and compact dimensions for fast and comfortable handling. Controls accessible from both sides. Bolt catch with two bolt release levers. Separate cocking handle with the option to forward assist the breech. Perfect ergonomics with outstanding control during shooting. Materials used are non-flammable or have increased flame resistance, they are impact resistant and have a high resistance to mechanical damage. The basic stripping and reassembly of the weapon for routine maintenance may be performed without the use of any tools, including the breech block carrier. Storage space in the pistol grip with interchangeable backstraps.